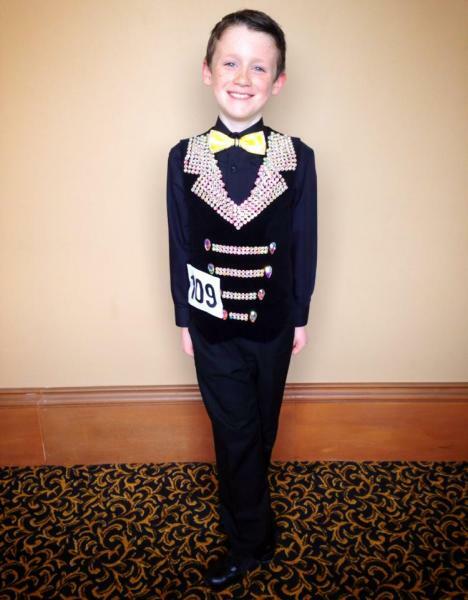 dance.net - Black velvet and Swarovski diamond waistcoat - suit 8-10 year old boy (10240160) - Read article: Ballet, Jazz, Modern, Hip Hop, Tap, Irish, Disco, Twirling, Cheer: Photos, Chat, Games, Jobs, Events! 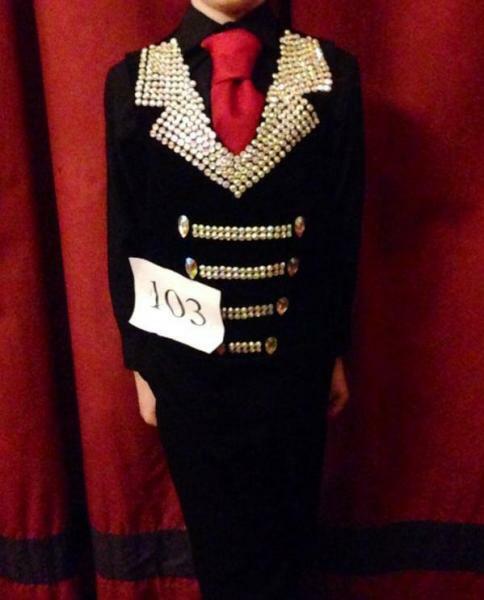 Boys black velvet waistcoat, tuxedo style lapels and design in Swarovski diamonds, teardrop buttons. Zips up the side. Suit 7-10 year old depending on size. Would suit any colour of tie/bowtie. Length v to v 32.5cm. Located in Co. Tyrone, Northern Ireland.